The Colors of Fall | Does This Font Make Me Look Fat? 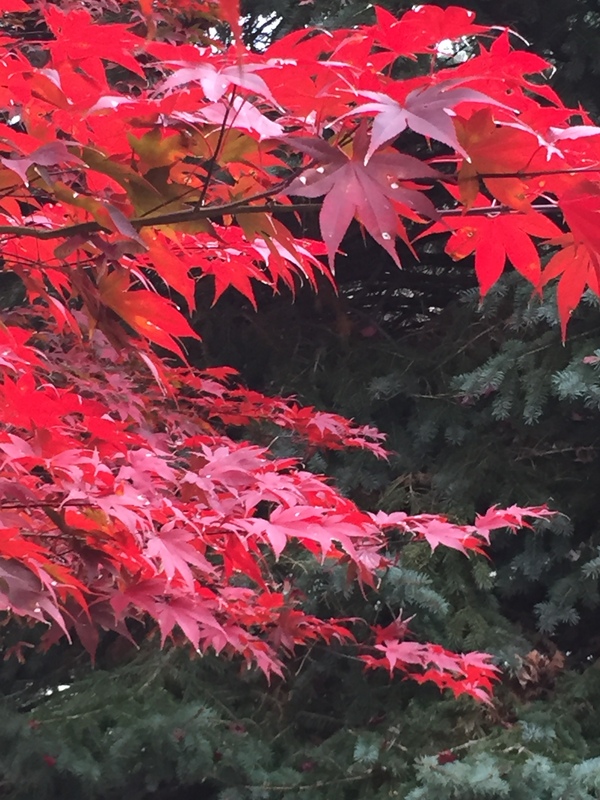 I love the changing colors of this season. Just walking through my neighborhood is joyful. 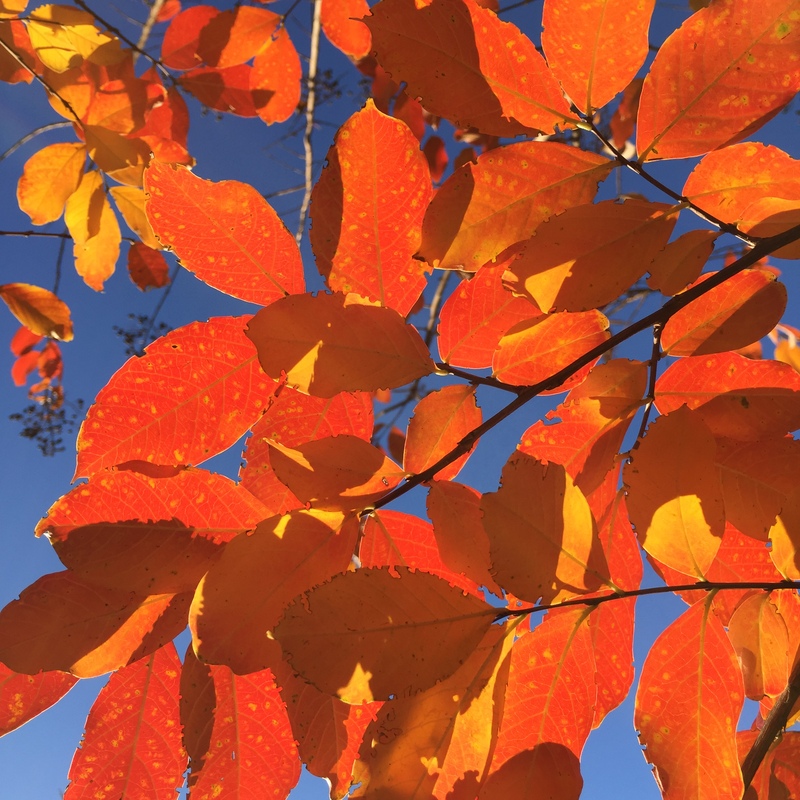 These are crepe myrtle leaves from below again a bright blue sky. I love this photo taken with my iPhone 6 in my own yard. 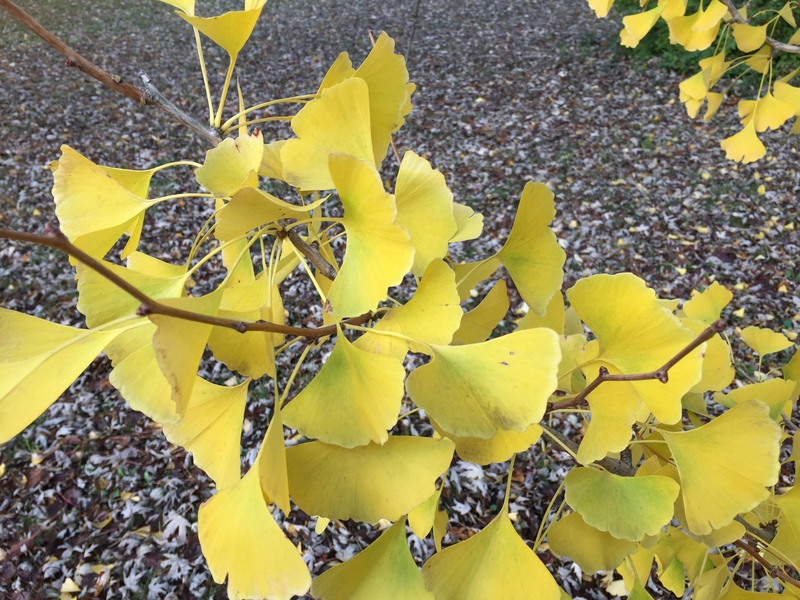 Ginko leaves a few houses down. 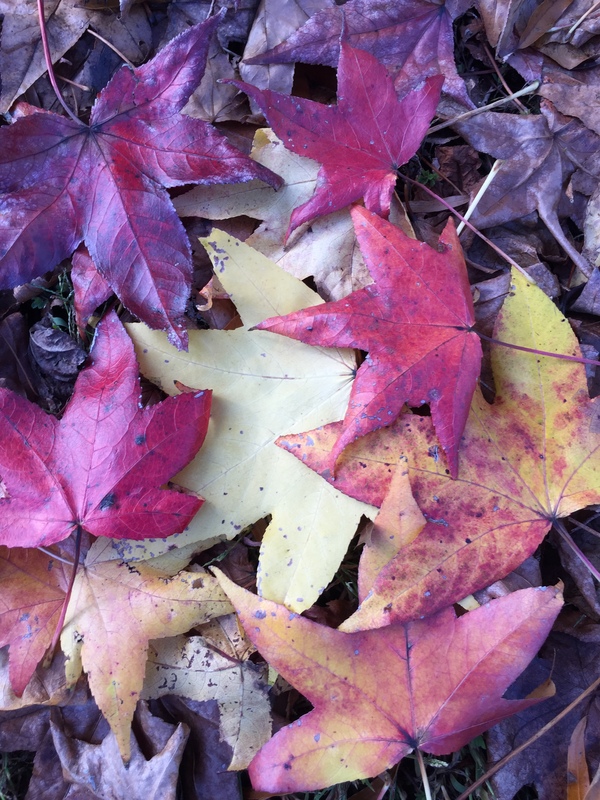 A carpet of sweet gum leaves across the street. A small crepe myrtle behind my house with some Knockout roses which won’t stop blooming until we have a really hard freeze. 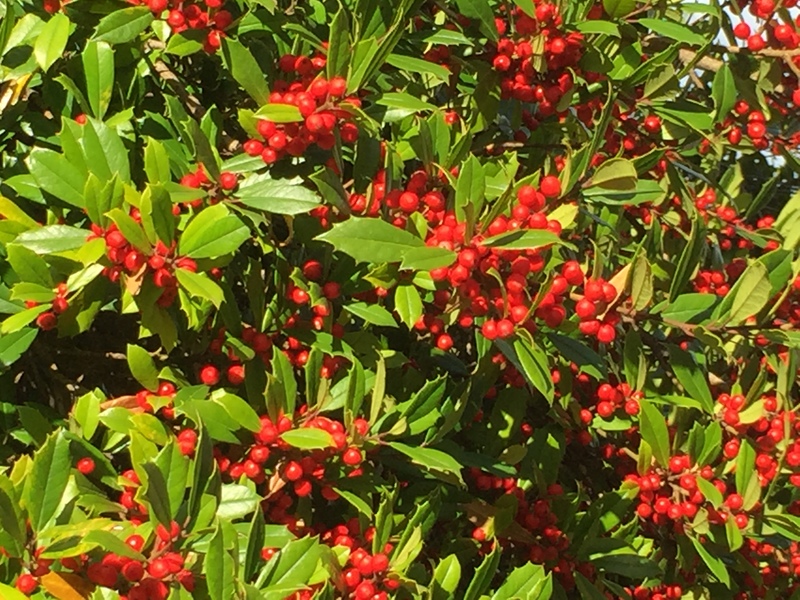 The berries on the hollies will stay bright long after the colorful leaves are mulched and tucked around my perennials. They remind me that Christmas will be here before I can blink. 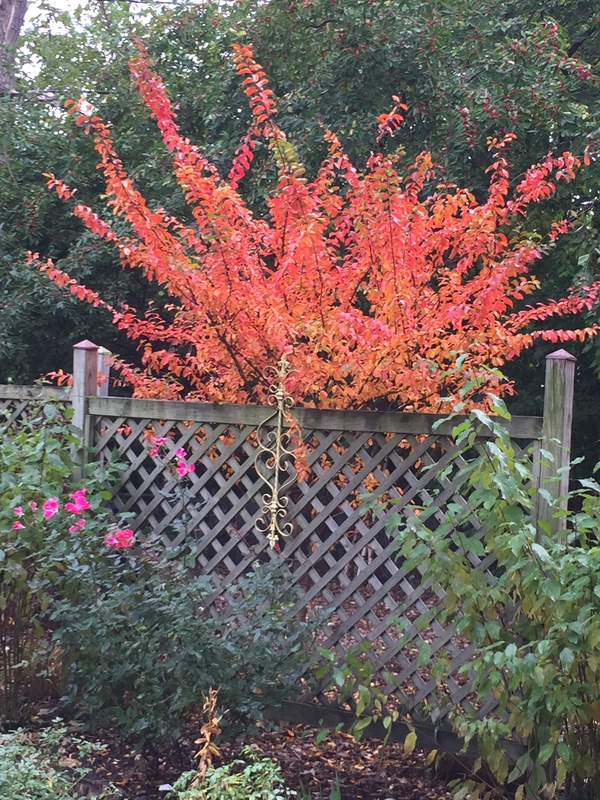 This entry was posted in Uncategorized and tagged colorful fall leaves, crepe myrtle, Fall colors, holly berries, Knockout roses, maple, sweet gum by Mala Burt. Bookmark the permalink.